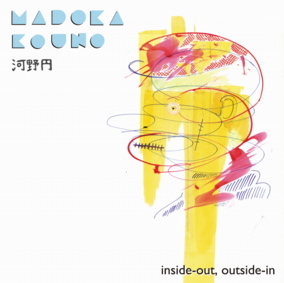 This is the first solo album of Madoka Kouno, an improviser who has been performing since the early 2000s, mainly in Tokyo. The two tracks were recorded live at Ftarri, Tokyo, in November 2012. 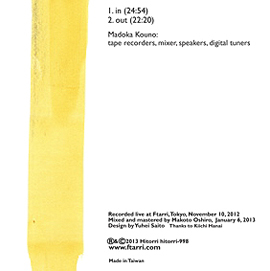 In this performance Kouno used tape recorders, a mixer, speakers, and digital tuners. The manipulation of empty tape recorders and careful changes in their positions cause subtle tremors and variations; and the rich, complex sound vibration radiates throughout the space.